Innovative Job Search Techniques + Technology = A Career Position! Today's professional job market is highly competitive and more difficult than ever. It has become more challenging to manage a successful job search. Career Plan International is America's most innovative personal career marketing firm which draws on more than 30 years of combined professional knowledge. 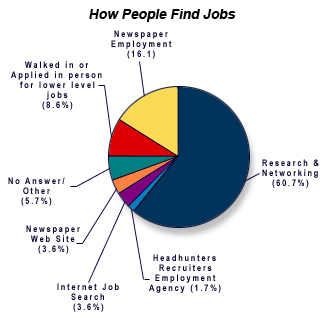 The economy and world events have had a negative impact on job search. The globalization of our economy and the outsourcing of jobs has heavily impacted how professionals view their value and marketability. People are resigned to reacting to the few published jobs that exist. They find themselves competing with hundreds of other applicants for the same position. Our franchisees assist mid and senior level managers as well as professionals from all career fields, civilian or military in their job search. 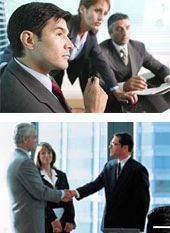 We serve both corporations and individuals. CPI is not an employment agency or recruiting firm. We combine technique with technology to design and implement successful career strategies. Our advanced individual career search methods, business intelligence, personal career marketing, and unequaled resources bring our clients a distinct competitive advantage in the job market. For many people, the dream of owning their own business is just that – a dream. But it doesn't need to be. With a CPI franchise you can turn your dreams into a reality and be your own boss, create a new career, and begin enjoying the many benefits and prestige of association with a professional business. We provide training, assistance in site selection, office design and equipment ordering assistance before you open your Office, and ongoing support once you're open. Can set up office close to home so negligible commuting headaches and costs. Professional Executive working conditions- where clients come to you. No cold calling. Recession-proof business – perfect for the current high-unemployment conditions so BIG DEMAND for our services, but also works in periods of low unemployment as clients look to change jobs (for various reasons, ie. higher salary, career change, etc.). Low fixed overhead so low break-even – only need several sales to break-even. "There are risks and costs to a plan of action. But, they are far less than the long-range risks and costs of comfortable inaction." Please note this franchise is not currently accepting inquiries from CA, CT, HI, IL, IN, LA MD, ME, MI, MN, NY, ND, RI, SD, VA, WA, WI or from outside the U.S. Interested parties should have at least $40,000 in liquid capital to invest. Click on Request Information button above for FREE information on how to start a Career Plan International franchise today! Please Note: Career Plan International franchises for sale, and other franchise opportunities, business opportunities, businesses and franchises for sale on this web site are not to be considered as an "offering", "franchise offering", suggestion or recommendation by GlobalBX. The franchises, businesses and business brokers seen on this web site submit their own individual content. This advertisement depends entirely on the truthfulness of the information provided by our advertisers which includes, but is not limited to, franchisers, franchises, franchise brokers, franchise consultants, business sellers and business brokers. As always, GlobalBX recommends that you consult a lawyer, financial consultant, accountant or professional advisor before buying a franchise or business opportunity or any type of business. By submitting this form and requesting more information, you have agreed to all terms and policies of GlobalBX and the business and franchise offerings listed here. Please review our Terms & Conditions for more information.